Tragedy struck yesterday when the passenger plane carrying Russian hockey team Lokomotiv of the KHL (Kontinental Hockey League) crashed just after take-off, killing 43 people. Added to the growing list of prominent athletes whose lives were cut short were former NHL players Pavol Demitra and Brad McCrimmon, the team’s coach. Sadly, this was hardly the first time prominent people from the world of sports have lost their lives in such a fashion. 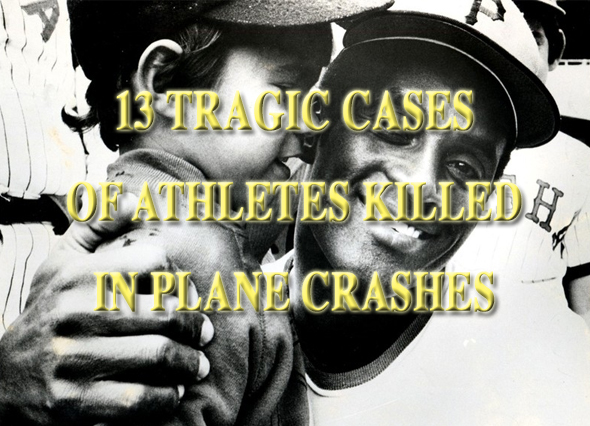 Since the dawn of commercial aviation, hardly a decade has gone by without one or two notable athletes being killed in a plane crash. So today, as a tribute to all these fallen stars, we present a chronological list of athletes killed in plane crashes. 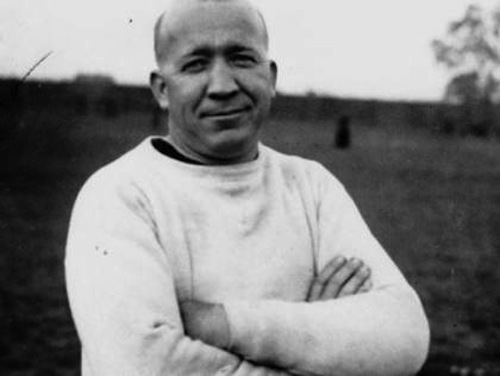 Legendary Notre Dame football coach Knute Rockne—who helped make the game of football what it is today—was one of 8 people who died when TWA Flight 599 out of Kansas City crashed on March 31, 1931. He had just visited his two sons (Bill and Knute Jr.) at their boarding school and was on his way to consult on the production of the film The Spirit of Notre Dame. At the time of his death, his record as coach of the Fighting Irish was an absurd 105 wins, 12 losses, and 5 ties. 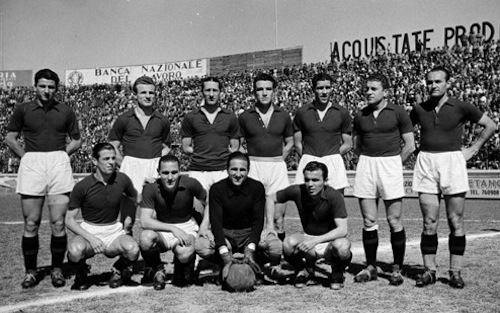 Torino FC were the champions of Italy’s Serie A soccer league in 1948-49, and are considered by some to have been one of the best clubs in the history of Italian soccer. Their captain, Valentino Mazzola, was one of the best players in the world. So you can imagine the enormity of the public’s grief after 22 of the team’s 23 players were killed when their plane crashed into a mountain outside Turin. The only player whose life was spared was not on the flight because he was injured and not traveling with the team. 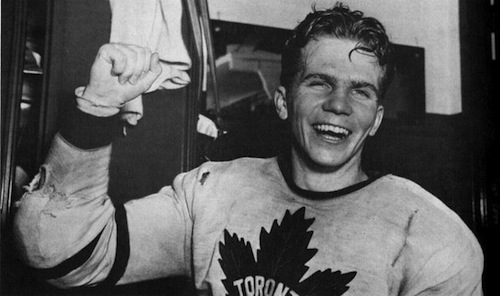 On April 21, 1951, defenseman Bill Barilko of the Toronto Maple Leafs accomplished what every hockey-playing kid in the world dreams about every night. That night, in Game 5 of the Stanley Cup finals against the Montreal Canadiens, Barilko scored the overtime goal that won the cup for Toronto. Tragically, only four months later Barilko died in a plane crash on his way home from a fishing trip if rural Quebec. On February 6, 1958, British Airways Flight 609 traveling from Belgrade, Yugoslavia to Manchester, England, crashed while attempting to take off from a slush-covered runway in Munich, Germany, where it had stopped to refuel. 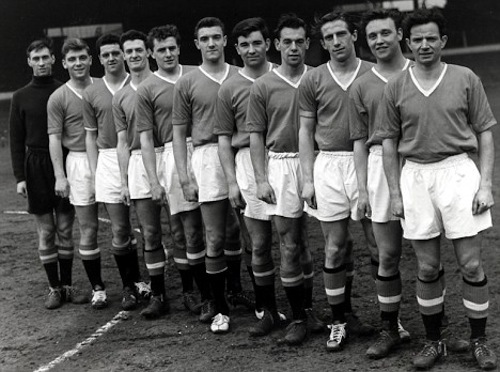 Twenty-three of the forty-four people on board died, including 8 members of the 1957-58 Manchester United squad. Among English soccer fans, the incident became known as the “Munich air disaster.” The tragedy is memorialized by a plaque hanging today at Man U’s famous Old Trafford stadium. On February 16, 1961, the United States sporting community experienced one of the most horrific tragedies one could imagine. The entire U.S. Figure Skating Team perished when their Boeing 707 crashed on its approach to Brussels’ Zaventem Airport. 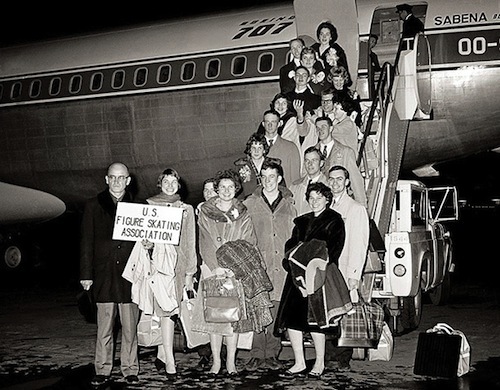 They were on their way to compete in the World Championships in Prague, Czechoslovakia. Among those killed were 9-time U.S. women’s champion Maribel Vinson-Owen, reigning women’s champion Laurence Owen, and men’s champion Bradley Lord. 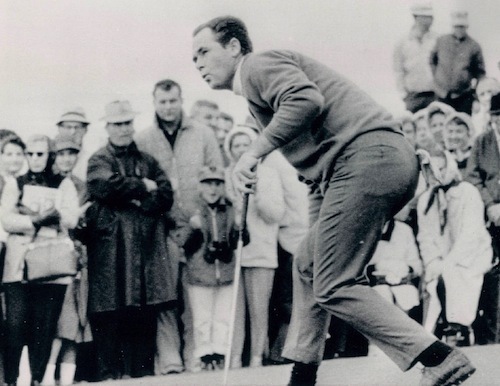 Tony Lema was one of modern golf’s brightest stars in the early 60s. He won the 1964 British Open, 12 PGA Tour tournaments, and finished in the top-10 of another eight major tournaments. He became famous not only for his success, but also for his exuberant celebrations after a big win. (They called him “Champagne Tony Lema.”) Sadly, he died at the very young age of 32, when a private plane he had chartered crashed—where else?—onto a golf course. 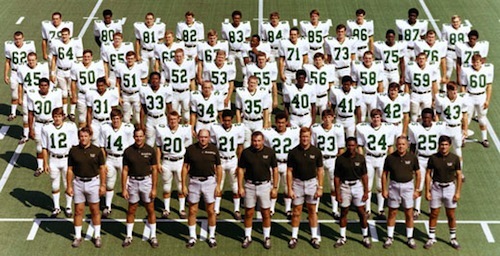 On November 14, 1970, half of Marshall University’s football team was killed when their plane, flying through rain and fog, clipped the top of a tree and crashed just short of its runway in West Virginia. This terrible tragedy and its aftermath were the subjects of the 2006 film, We Are Marshall. This is another plane crash memorialized by a film. In this case, the film would be 1993’s Alive, which tells the story of Uruguayan Air Force Flight 571. The plane, which was carrying 40 members of the Old Christians rugby club from Montevido, Uruguay, crashed high up in the Andes mountains, killing 16 people immediately. 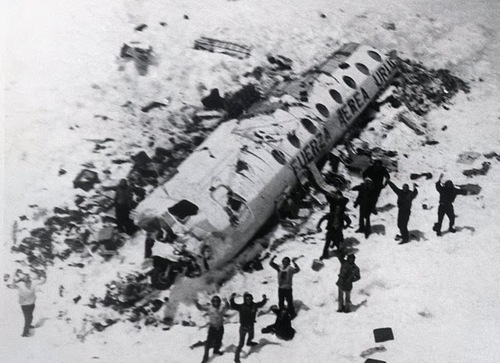 Search and rescue crews were unable to find the wreckage, and another 13 died as a result of the harsh conditions. Finally, more than two months after the crash, 16 survivors were rescued on December 23, 1972. Of course, this incident is most famous for the stories of how survivors resorted to cannibalizing the dead in order to survive. 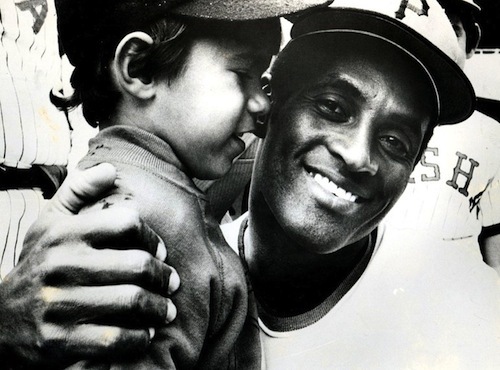 Roberto Clemente of the Pittsburgh Pirates was a fantastic baseball player and, somehow, an even better human being. He died on December 31, 1972, when the plane he was using to bring supplies to victims of a Nicaraguan earthquake crashed in the Caribbean. The only reason he was even on the flight was because previous shipments had been stolen by corrupt government officials, so he wanted to personally make sure the supplies actually got to those in need. 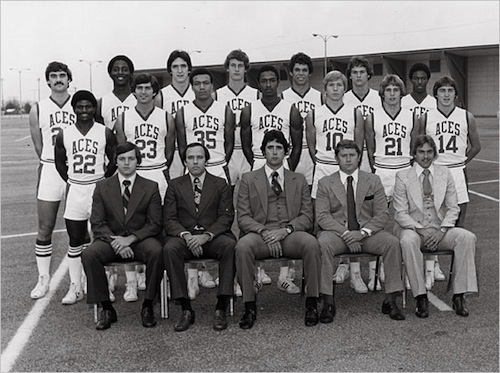 1977 was to be the University of Evansville Purple Aces’ first season in Division I athletics. Sadly, the men’s basketball never completed its first season. On December 13, their chartered DC-3 crashed in a field near the Evansville Regional Airport, killing the entire team and its coaching staff. 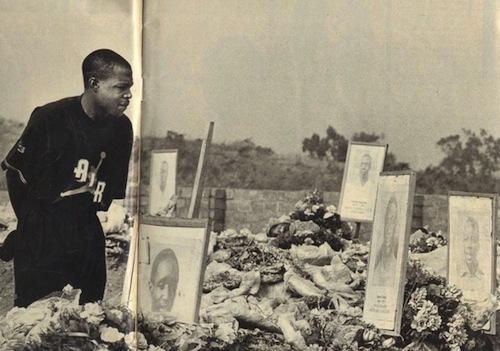 The entire Zambian national soccer team—18 players and 5 team officials—died on April 28, 1993. They were on their way to a World Cup qualifying match against Senegal when their plane crashed into the Atlantic just off the coast of Libreville, Gabon. An investigation concluded the cause of the crash was pilot error. 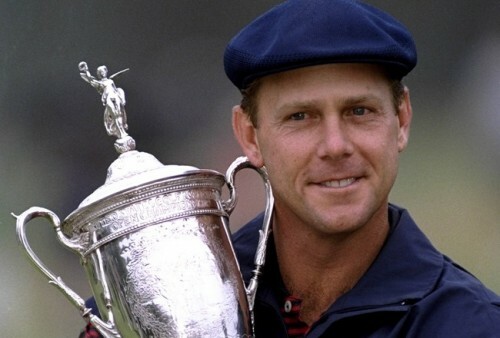 On October 25, 1999, just four months after winning his second U.S. Open Championship, Payne Stewart died in a freak plane crash. The Learjet he was taking from Orlando to Dallas lost cabin pressure mid-flight, and the pilots and passengers all died from hypoxia (i.e., oxygen deprivation). The jet veered way off course, but remained aloft (thanks to autopilot) until it ran out of fuel and crashed in North Dakota. Stewart was one of the most well-liked guys on the PGA Tour throughout the 90s, so his death really shook the world of golf. September 7, 2011, was one of the worst days in the history of pro hockey. Over 40 people died when a Yak-42 aircraft crashed into a river bank near Yaroslavl, Russia. 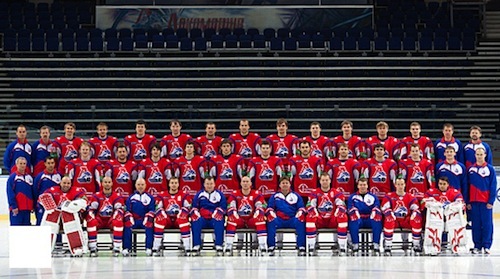 The plane was carrying the Lokomotiv hockey team of the KHL to its first game of the season in Minsk, Belarus. All but one of the team’s players died in the crash, including Slovakian forward Pavol Demitra, 36; Czechs Jan Marek, 31, Karel Rachunek, 32, and Joseph Vasicek, 30; Swedish goalkeeper Stefan Liv, 30; and Canadian coach and former NHL defenseman Brad McCrimmon, 52.